If you have been reading my blog for a while or follow me on social media, then you will probably know that I’m a little bit obsessed with tea (OK, probably more than a little bit!) 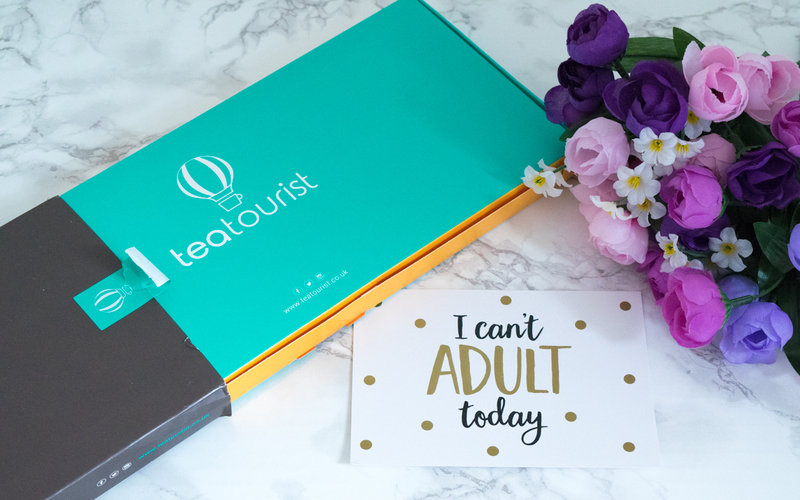 So when the lovely people at Tea Tourist tweeted me and asked if I would like to try out their tea subscription box, of course I jumped at the chance! My box arrived at just the right time, while I was recovering from my operation. I was feeling pretty miserable to be honest, as I was dealing with some complications and just felt really tired and sore. And what better way to make me feel better than trying some new teas. I pretty much live on tea, and have a huge box full of the stuff, so it’s always nice to find new flavours and brands to try out. 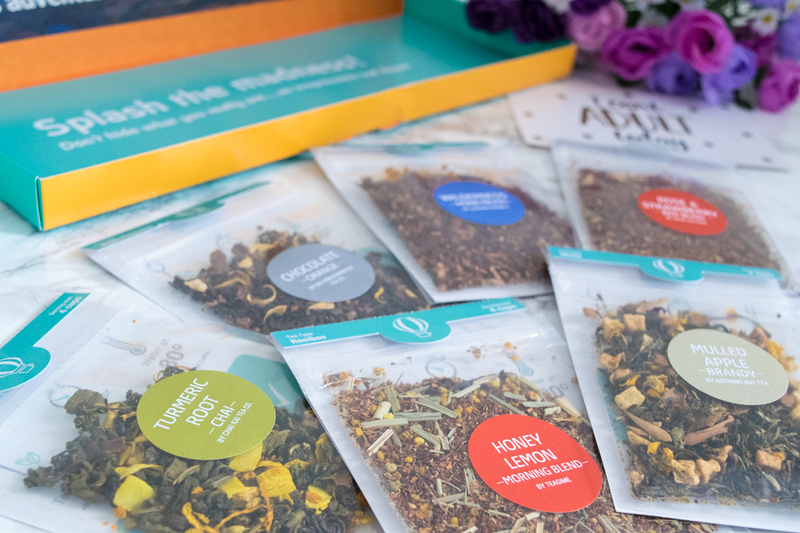 The Tea Tourist’s promise that every month they will work their socks off to bring us teas we’ve never tried from tea companies we’ve never heard of, and they sure did that in this March box! 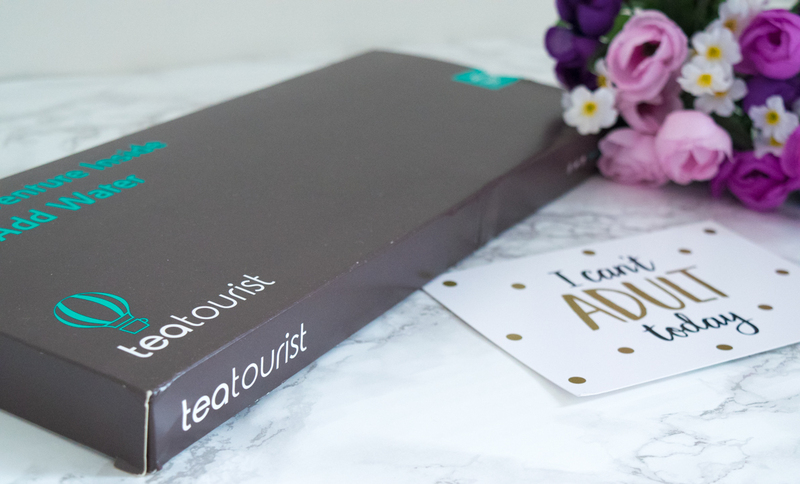 Inside each box you will find six sachets of tea, each from a different brand and in an exciting flavour. Each sachet gives you enough tea to make around three to four cups, which is the perfect number for trying out something new. There was a real mix of flavours and ingredients in my box, from boozy brandy and comforting chai, to creamy chocolate and tantalising turmeric – I couldn’t wait to get stuck in! The box is thin enough to fit through a standard letterbox, which is always great because who wants to get that red card of doom from the postman?! 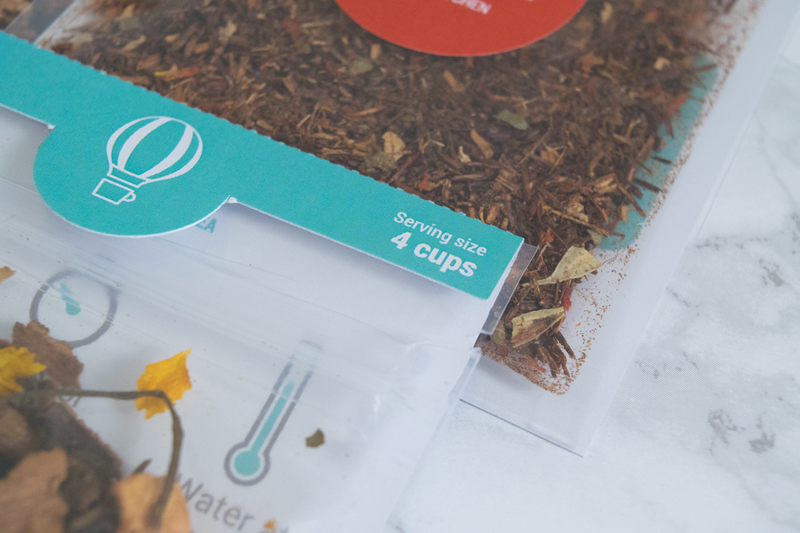 Each tea sachet is attached to a card. One side gives you instructions on how long you should brew the tea for, at what temperature and how many spoonful’s you need per cup. 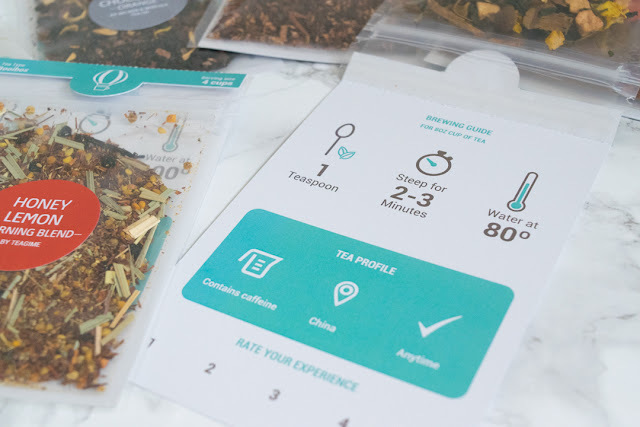 There is also a tea profile, telling you whether the tea contains caffeine, where it originates from and when you should drink it, and there’s also space for you to rate the tea so you can remember your favourites. On the other side it tells you a bit more information about the tea, the ingredients, allergy information and some details about the tea company. I found it so interesting learning about six new tea companies and understanding the heritage of the brew I was drinking. 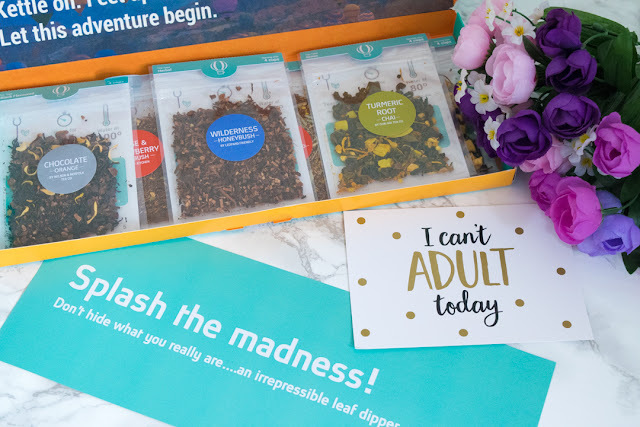 I was really excited to try the teas in this month’s box. 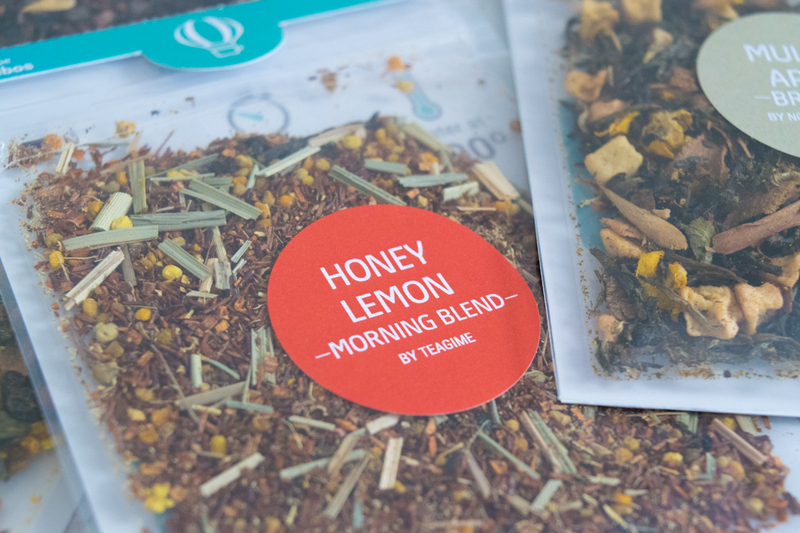 The Honey Lemon Morning Blend from Teagime has been perfect while I’ve been trying to fight off this throat infection/cold virus/lurgy thing! 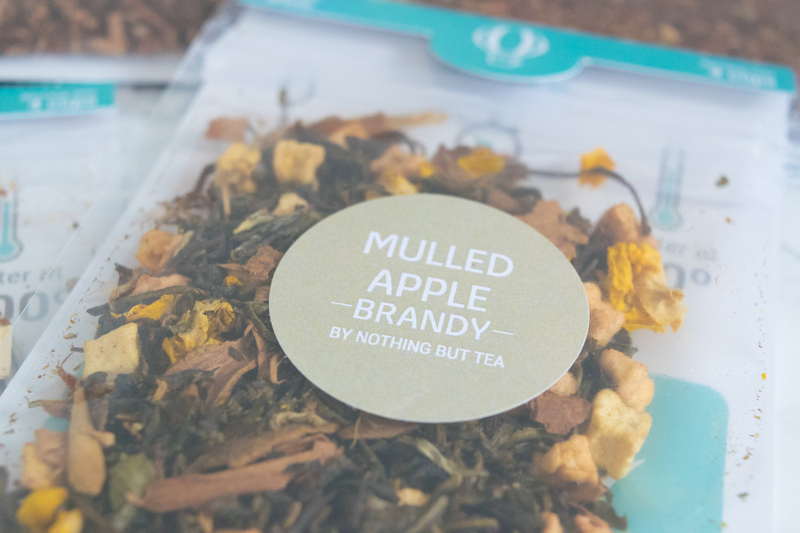 It really helped to soothe my throat and made me feel all warm and snuggly. 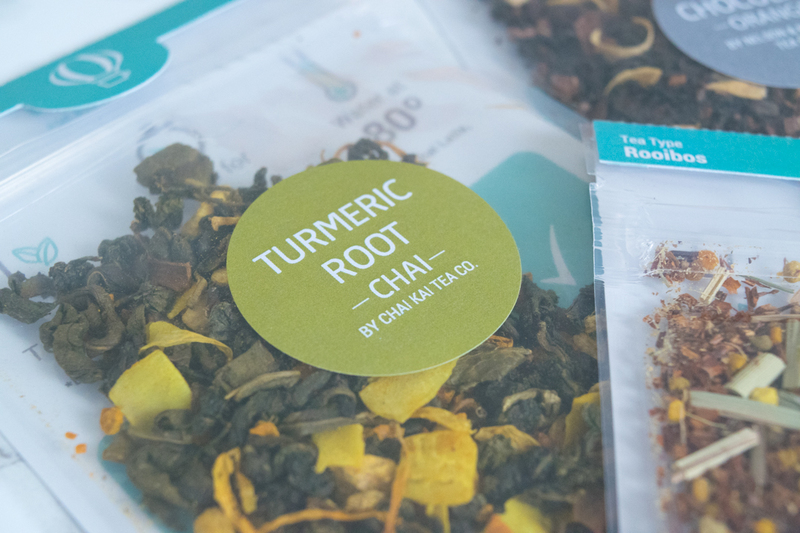 Turmeric Root Chai from Chai Kai Tea Co. is also something I think will really benefit me, as turmeric is known to be good for reducing inflammation, so I’m hoping it will help with reducing my pain levels a bit. 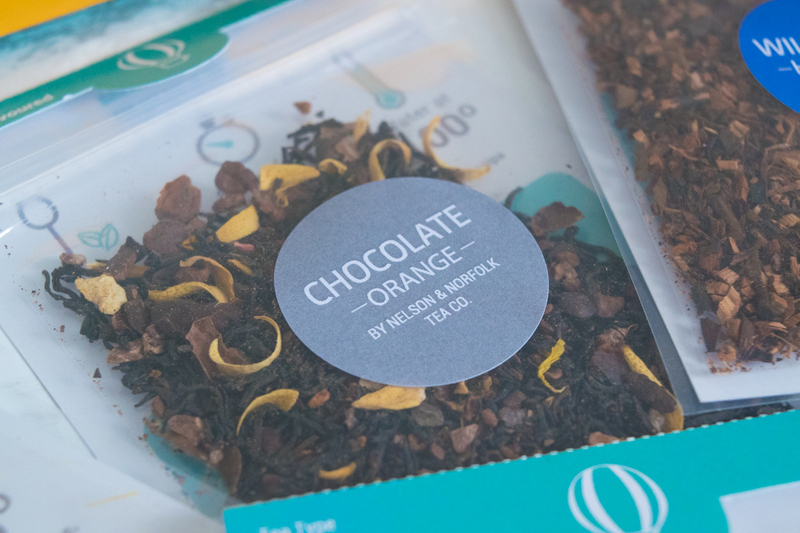 And the Chocolate Orange from Nelson & Norfolk Tea Co. well, where do I start? Chocolate and orange is one of my favourite combinations, so to have it in tea form is literally like heaven in a cup! If this has tempted you into picking up a box (or three!) 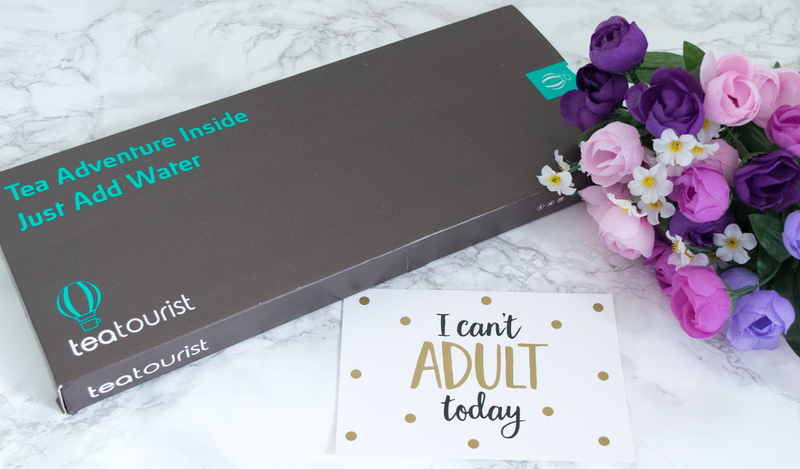 you can either buy a past box for £15 including delivery (UK only), sign up for a rolling monthly subscription or pre-pay for three or six months from £12 per month. With the rolling subscriptions you are also able to stop or snooze whenever you want, with no tie-ins, which I think is great because it allows you flexibility depending on your circumstances. 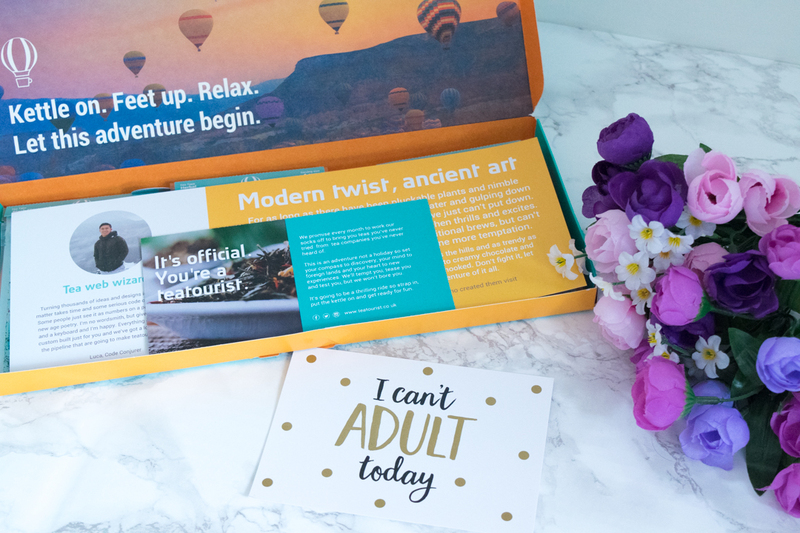 There’s nothing worse than being stuck on a subscription that you can’t get out of! 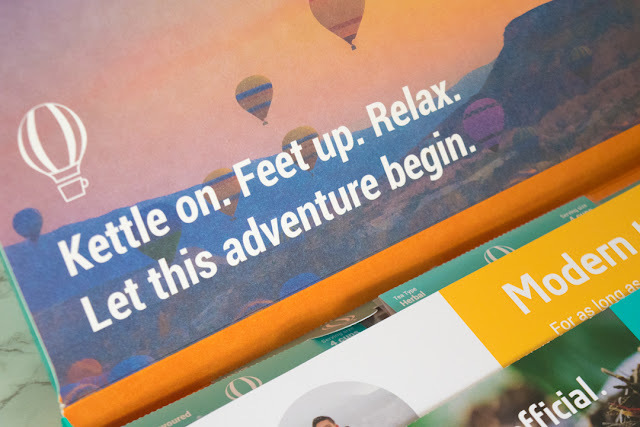 Boxes are shipped around the 20th of each month, which should give you something to look forward to as the month goes on. And to make it even better, if you join today you can get 10% off your first box by using the code FIRST10 at the checkout. 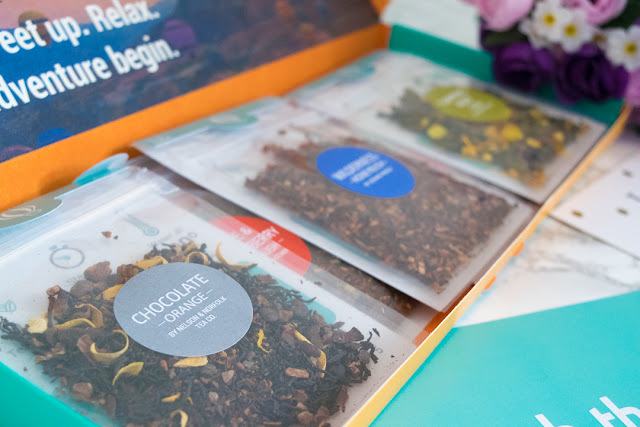 As you can probably work out, I’m really impressed with this Tea Tourist service! 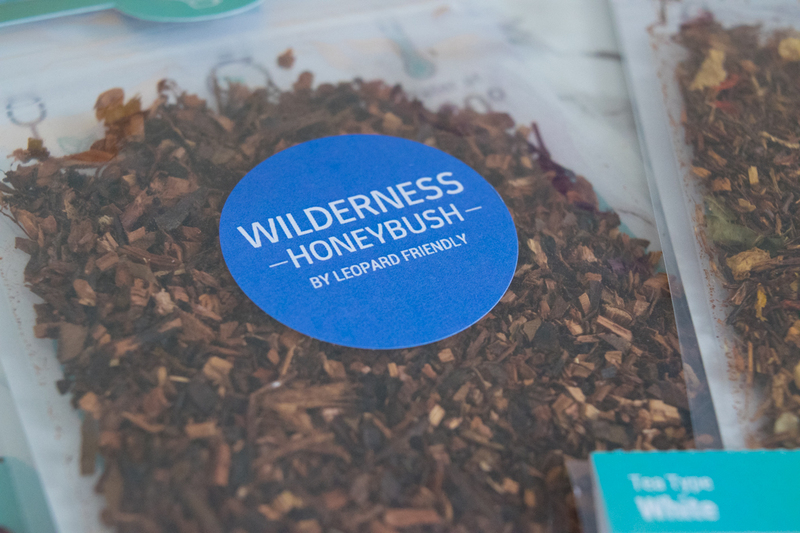 I love the fact that each tea you get is from a different brand, as it gives you the opportunity to discover loads of new tea companies that you can then investigate even more. 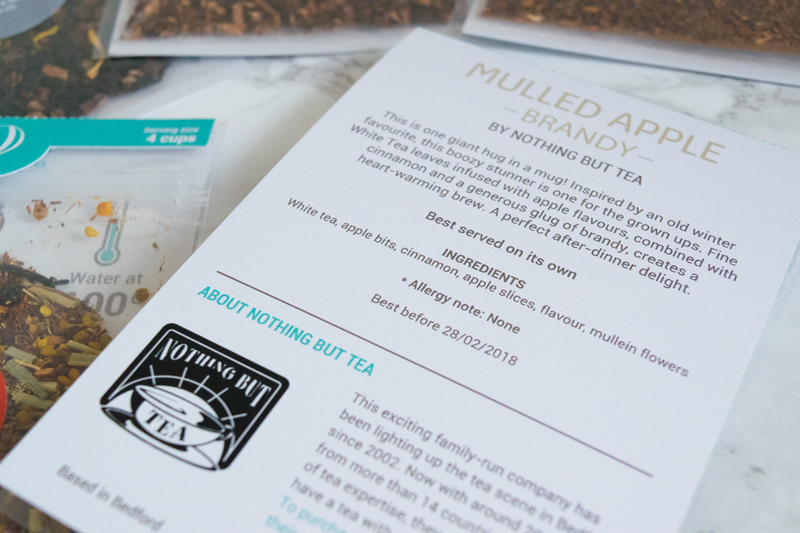 And I think adding in the brewing instructions and information about each tea and company really gives it a personalised feel, as well as helping you feel more connected to the people who produced the brew you are drinking. 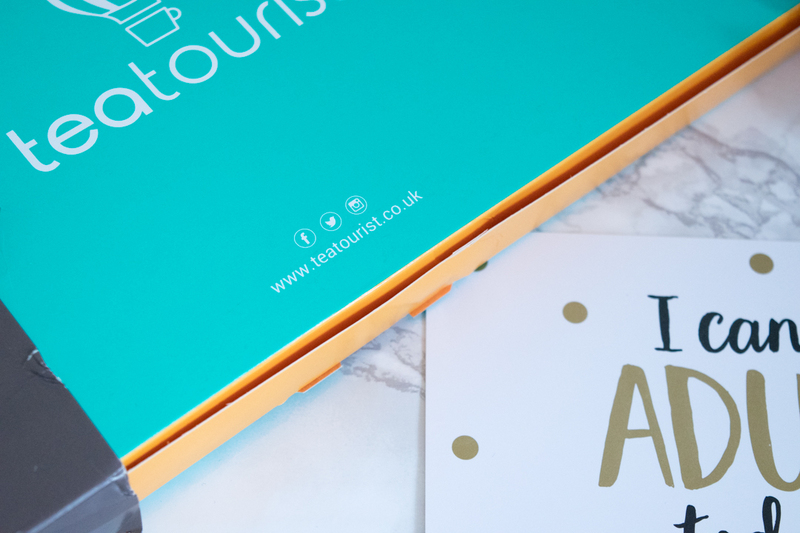 What do you think of the Tea Tourist subscription service? Is it something that appeals to you? Are there any other subscriptions you would recommend I try out? 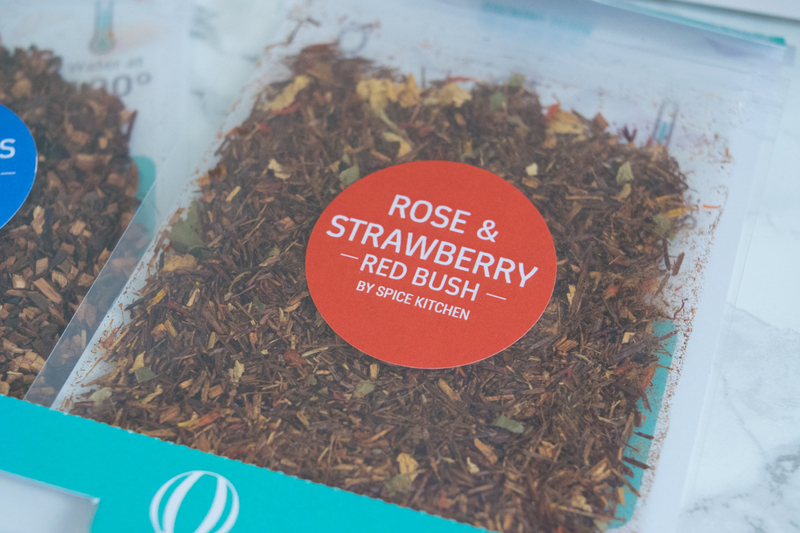 *This subscription box was kindly sent to me by Tea Tourist to review. However, all opinions are my own and I only ever talk about things on my blog that I truly believe in.